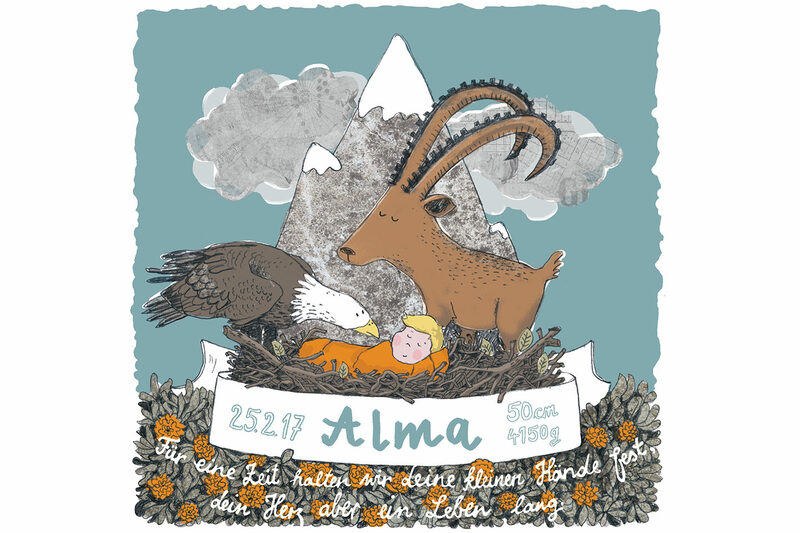 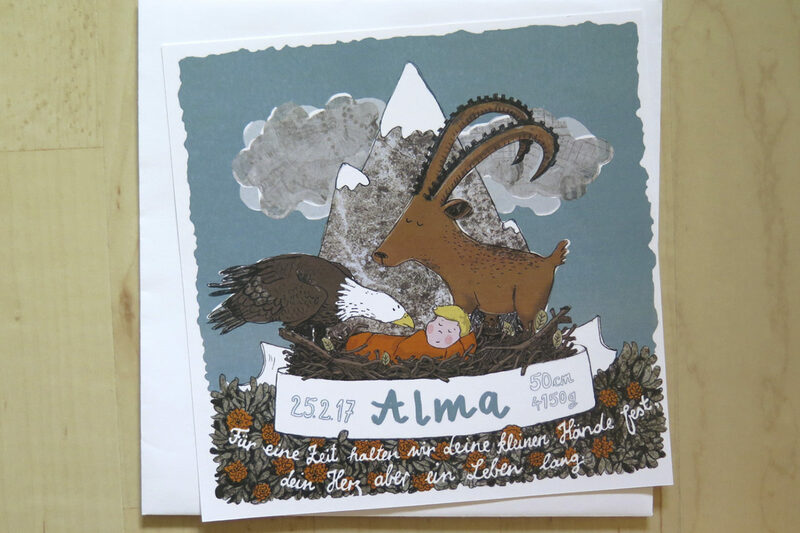 1 – A birth card for Alma, 2017. 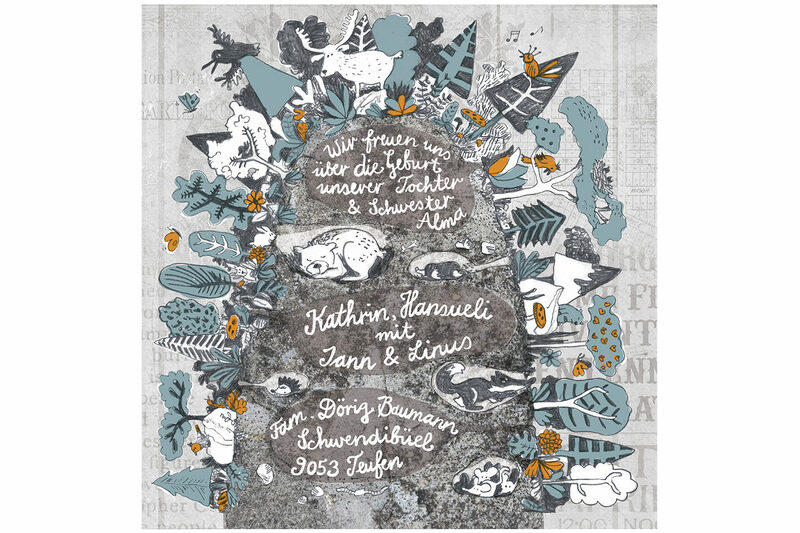 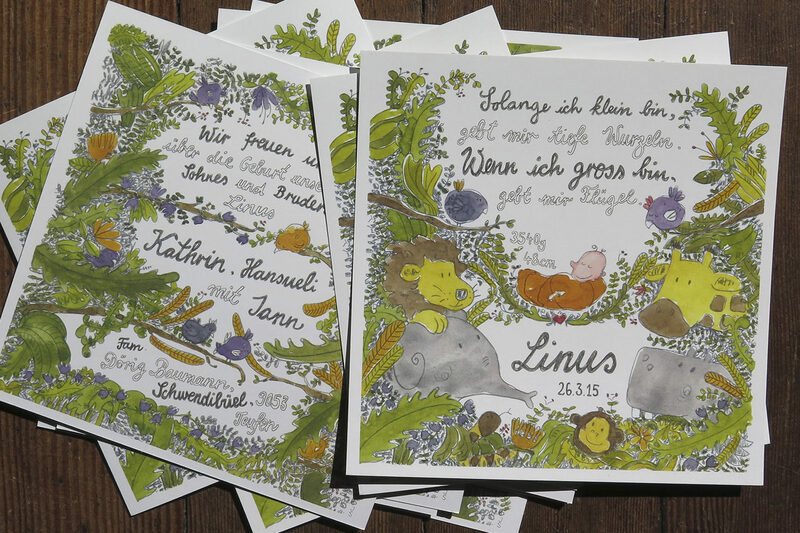 Front and back, idea and illustration. 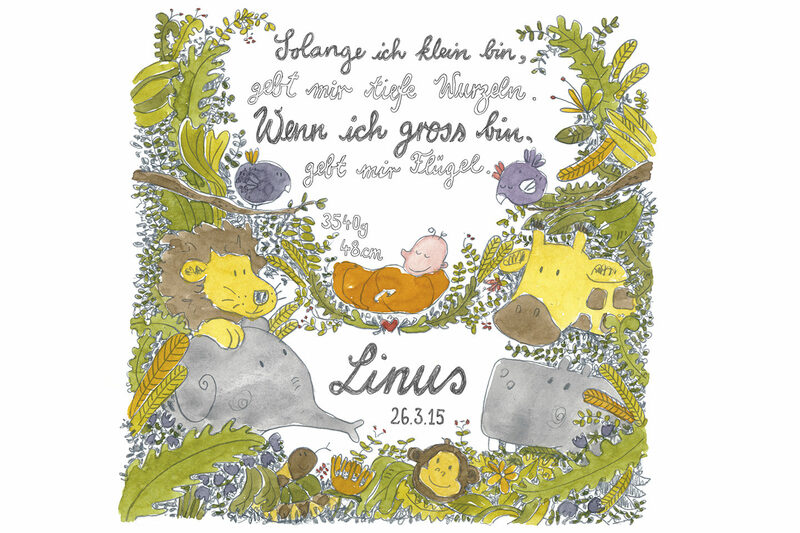 2 – A birth card for Linus, 2015. 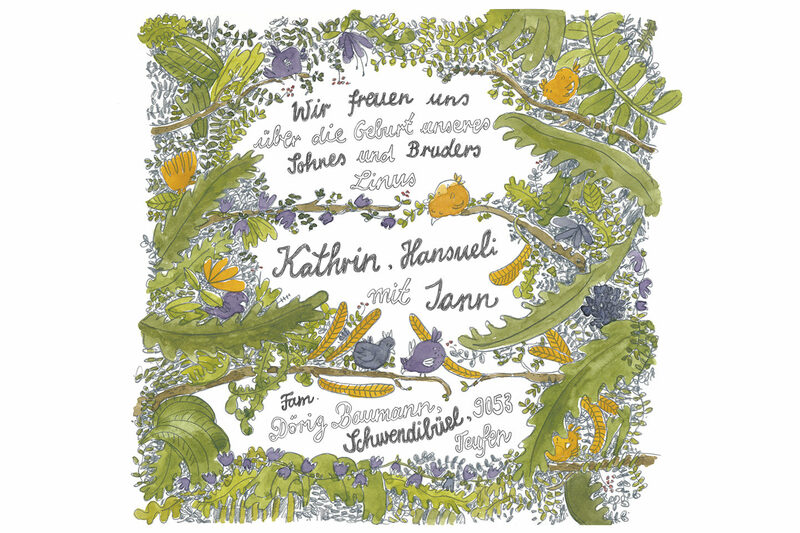 Front and back: Idea and illustration.